*Designed for VSI DC servo motor focusers only. Not compatable with other focusers. 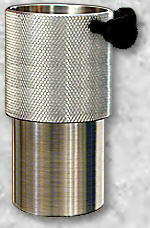 With VSI's 2" format DT6 drawtube, you can increase your mechanical focusing range by 3 or 4 inches on all 2" focusers. The two-part drawtube is actually three adapters in one. The top knurled section (pictured at right above) screws directly onto the 2"-24tpi male threaded visual back of your Meade or Celestron SCT, so you can insert 2" barrel nose diagonals and eyepieces. The DT6 bottom section (pictured at right below) is just like our 2"-24tpi Threaded Barrel Adapter, item A2LT (see SLIDERS link, ADAPTERS link, scroll down the page to item A2LT, or see ADAPTERS below) except the 2" outside diameter barrel is 4" long. Screwed together (pictured at left), they simply make a great long drawtube. Just insert the 2" drawtube (pictured at right) in your TOADLOADER and adjust your back focus up to 4 inches. See Custom Machining link for examples of VSI custom and ToadLoaders utilizing drawtubes of various proportions. This economical Photo Tachometer rivals units selling for 5 times as much. Just apply the (included) sticky backed reflective tape strip to the edge of any rotational movement (i.e. shaft, disc, wheel, etc. ), point the tachometer, and press the button. 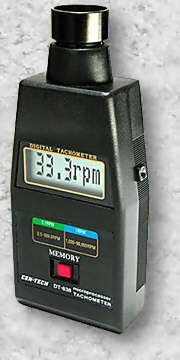 This high resolution tachometer uses a sophisticated micro-computer LSI-circuit and crystal time base, and has auto-zero adjust. The last value, max. value and min. value are automatically stored in digital memory and can be displayed by simply pushing the red memory button below the LCD readout. Uses 4 AA batteries, not included. 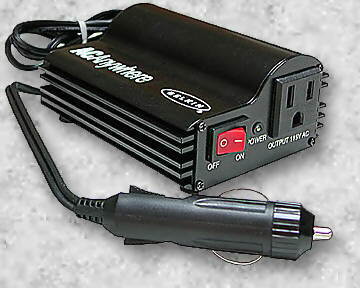 This inexpensive 12vdc to 115vac power inverter will supply AC household power to your scope and laptop computer in the field, where AC is not available, from any 12vdc battery source (i.e. auto, portable battery pack, etc.). This compact unit will charge your batteries, cellular phone, camera or any device that requires 115VAC house current to recharge. The inverter features a convenient on-off switch, green power-on light, cigarette lighter input cord and plug, ground-type AC outlet receptacle, overload (auto-reset) and back-up fuse protection, and an audible alarm when battery input voltage drops below 10.6vdc. 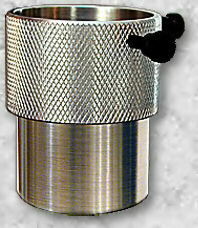 Threaded 2" Filter Slot Adapter (DISCONTINUED):The 2-inch threaded FSA takes standard 2-inch (48 to 50mm) filters up to a thickness of 5/16" (0.3125"). The FSA is designed to take industry standard double sided, male/female threaded filters. The same type filter cell that screws onto the bottom of a 2" eyepiece, except instead of screwing them on, you just pop them in and out. Easy, fast and efficient! The threaded FSA adds slightly less than 1-inch to your profile. Even though this adapter is cut in half, there is no flexure from heavy, leveraged equipment loads. VSI guarantees zero flexure up to 10 lbs. 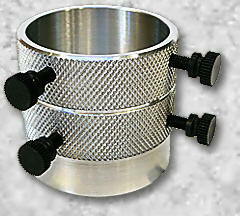 The internal adapter walls are 1/4-inch thick aluminum, eliminating any possibility of flexure. Also included with your FSA is a stray light blocking insertion ring (pictured). When you're not using your filters, just insert the ring to block stray light from entering the slot. The threaded FSA has a standard 2"-24tpi male thread on one end, and a standard 2"-24tpi female thread on the other end (not shown in picture). This adapter's diameter and threads are the same as the visual back on Meade/Celestron Schmidt-Cassegrain telescopes (male 2" diameter, 24 threads per inch). This threaded FSA has the same physical dimensions and thread specifications as a standard Meade/Celestron focal reducer, except this adapter has a filter slot in the center of the housing, instead of a glass lens. This FSA is the same type as the built-in filter slot on the rear imaging port of the VP Sliders, and includes the stray light blocking insert ring pictured above. 2-inch Threaded Long Barrel Adapter: This adapter is a standard 2"-24tpi male thread to 2-inch standard barrel-nose slide format. Screw this adapter into the front female 2"-24tpi threaded slip-ring (input port) on the Sliders to convert your Slider to 2" barrel nose format for use with 2" TOADLOADERS or any other standard 2-inch focuser. This 2"-24tpi threaded barrel adapter also has a machined safety indent for your thumb screws, which prevents the barrel from slipping out of the focuser's tube even if the thumb screws come loose. The threads on this adapter duplicate the diameter and male threads on all standard SCT visual backs, such as Celestron/Meade Schmidt-Cassegrain telescopes. Zero Profile T-Adapter: This zero profile T-adapter (ZPTA) is designed to fit, with a zero profile, in the 2-inch rear imaging port of all Sliders. It has the industry-standard metric 42mm - 0.75mm thread pitch. Note the circular dovetail machined into to housing. This 15 degree dovetail not only provides a safety catch for your thumb screws, but also presses the ZPTA into the Sliders rear port for a zero flexure fit. If you are doing CCD camera work, use your CCD camera's basic female T-thread input and screw the ZPTA directly into your CCD camera head. Then slip it in the Slider's rear imaging port and lock it down with the double thumb screws. If you are doing 35mm camera work, just screw your T-ring on to the ZPTA, connect your 35mm camera to your T-ring. Then slip it in the Slider's rear imaging port and lock it down with the double thumb screws. If you are just doing CCD camera imaging, this is the only adapter you need. Included in packages below. 2-inch Threaded Short Barrel Adapter: This adapter has a standard 2"-24tpi male slide format (0.75 inches long) designed to fit in the 2-inch rear imaging port of Sliders. Then you can screw your 2-inch focal reducer, or any accessory that has a standard 2"-24tpi female threaded coupling, into the threaded end of this adapter. Note the circular dovetail machined into to housing. This 15 degree dovetail not only provides a safety catch for your thumb screws, but also presses the A2ST into the Sliders rear port for a zero flexure fit. Also, inserted in the Slider's rear imaging port, this adapter has the same zero profile as the ZPTA listed above. 2"-24tpi Female to 42mm T Male Threaded Adapter: This adapter has a standard 2"-24tpi female thread input, just like your Meade/Celestron focal reducers, etc., and the output is a standard male 42mm-0.75mm male T-thread that will attach to any CCD camera or 35mm camera's T-ring adapter. One of many uses for this adapter is to install a focal reducer into the rear port of a Slider by inserting VSI's A2ST (above) in the rear port of the Slider, then screwing on a fairly fast focal reducer (like the Meade f/3.3 FR). At this point you have a 2"-24tpi male threaded output on the rear of your FR that will not screw onto your CCD camera's female T-thread input, so this is where this adapter comes into play. Screw the A2T onto the rear of your FR and simply screw your camera of choice onto the A2T. Using this faster FR configuration, you will need to extend out the top and side ports of the Slider to achieve parfocus. This is just one use for the A2T. I'm sure you can think of many others. 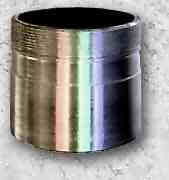 2"-24tpi Male to 42mm T Female Threaded Adapter: This very unique accessory is approx. 0.75" long and has female T-threads on one end and male 2"-24tpi threads on the other end. You can screw this adapter onto the front [slip-ring] port of a Slider to convert its input to female 42mm-0.75mm T-threads allowing you to attach a standard Meade/Celestron T-Adapter for eyepiece projection, or any other accessory that has male T-threads, etc. This special adapter can serve many other purposes, too. 2-inch to 1.25-inch Reducer: Industry standard reducer has a 0.375-inch profile and reduces your 2" format focuser to 1.25" so you can utilize 1.25" barrel-nose eyepieces and accessories. 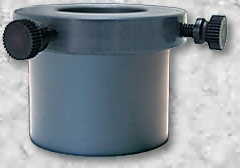 This reducer also has a circular dovetail cut into the outside 2" diameter to provide better security. When locked down with double thumb screws, it is impossible for this adapter to fall out. The thumb screws pushing against this circular dovetail also provide lateral pressure creating a very solid connection. 2" SCT Captive Retaining Adapter: Industry-standard 2"-24tpi female threads (adapter bottom, not shown), double thumb screws at the top for standard barrel indents, and our proprietary double thumb screws below for locking into the special groove on the barrel of our Hexagonals (see Hexagonals link for additional info). This adapter can also be used to convert 2"-24tpi SCT visual backs to accept 2" format barrel nose eyepieces, etc. The extra set of locking thumb screws can be used for additional [Quad-Lock] security when inserting conventional eyepieces and accessories, or not used at all. 2-inch to 2-inch Drawtube: This "shorty" drawtube is specifically designed to insert in the 2" top port of the Slider to parfocus a longer camera focus point out the rear port, but can be used in any application where a 2" format extension drawtube is required. VSI's Sidewinder [etc.] would be a good use for this 2" to 2" drawtube. 1.25" drawtube insertion length to fit all the way inside a Slider's top 2" port and 1.25" drawtube length to fully insert most 2" format eyepieces into the drawtube's knurled end. Double black Nylon thumb screws opposed by 90 degrees. One-piece construction machined from 6061-T6 aircraft-grade aluminum. 2-inch to 1.25-inch Drawtube: This "shorty" drawtube is also specifically designed to insert in the 2" top port of the Slider to parfocus a longer camera focus point out the Slider's rear port, but can be used in any application where a 2" to 1.25" format extension drawtube is required. 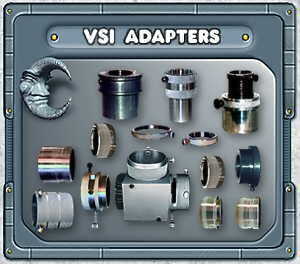 VSI's Sidewinder [etc.] would be a good use for this 2" to 1.25" drawtube. 1.25" drawtube insertion length to fit all the way inside a Slider's top 2" port with a 3/8" shoulder. 1.25" ID through hole that should accept any 1.25" format eyepiece. Double black Nylon thumb screws opposed by 90 degrees. 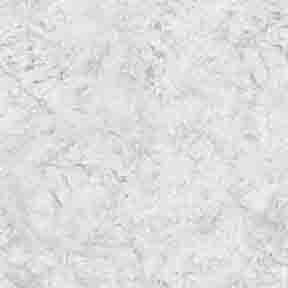 One-piece construction machined from lightweight gray polymer resin that is nearly indestructable. 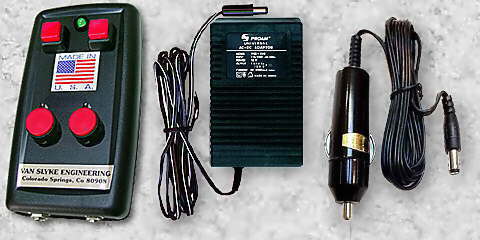 1.25-inch to 1.25-inch Drawtube: This "shorty" drawtube is specifically designed to insert in the 1.25" side pick-off port of the Slider 2 to parfocus a longer camera focus point out the rear port, but can be used in any application where a 1.25" format extension drawtube is required. 1.5" drawtube insertion length to fit all the way inside a Slider's side pick-off port and 1.25" drawtube length to insert most 1.25" format eyepieces into the drawtube's knurled end. Double black Nylon thumb screws opposed by 90 degrees. One-piece construction machined from 6061-T6 aircraft-grade aluminum. This unique, and exclusive, VSI 2" collar ring is necessary to lock-in a repeatable eyepiece and/or camera parfocusing position. Just slip the collar over your eyepiece or camera tube, and lock down the double thumb screws at the parfocus point. From then on, even when you change your setup, your eyepiece or camera will reinsert at the exact parfocus point, with repeatable zero tolerance. No need to waste your valuable time to reparfocus your entire system. Since the collar rings are 0.25 to 0.3 inches thick, you will need at least that amount of clearance between the eyepiece housing and the top of a female port to utilize these collar rings. Double black Nylon thumb screws opposed by 90 degrees. Machined from 6061-T6 aircraft-grade aluminum. This unique, and exclusive, VSI 1.25" collar ring is necessary to lock-in a repeatable eyepiece and/or camera parfocusing position. Just slip the collar over your eyepiece or camera tube, and lock down the double thumb screws at the parfocus point. From then on, even when you change your setup, your eyepiece or camera will reinsert at the exact parfocus point, with repeatable zero tolerance. No need to waste your valuable time to reparfocus your entire system. Since the collar rings are 0.25 to 0.3 inches thick, you will need at least that amount of clearance between the eyepiece housing and the top of a female port to utilize these collar rings. Double black Nylon thumb screws opposed by 90 degrees. Machined from 6061-T6 aircraft-grade aluminum.